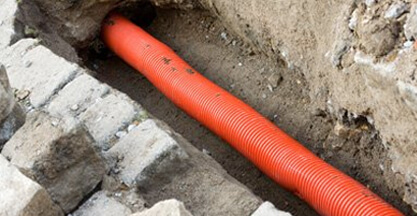 Until relatively recently, drainage companies would use metal pipes rather than PVC when installing systems within homes. Typically, they would use cast iron metal pipes. This material has a very long lifespan, but after a few decades (some of these pipes were installed as far back as the 19th century! ), their integrity has become compromised, and the whole system will begin to see significant issues. Unlike plastic, cast iron is subject to a number of issues which can quickly reduce its lifespan. 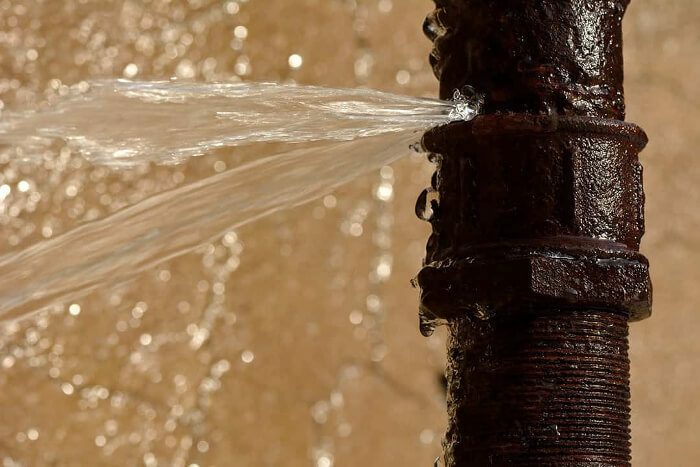 Although it is tough, it is susceptible to problems like corrosion and scale, which means older pipes could suffer a critical crack or full-on collapse without warning. 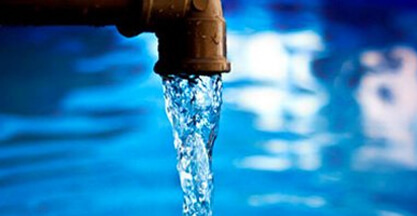 For older pipes suffering repeated issues, the best option is often to have the whole system updated. This might sound like an incredibly expensive option, but with Clark Drainage you can be confident that you will receive the very best service at a reasonable price. Using our well-trained and well-equipped teams of technicians, we are able to offer practical, efficient, and affordable solutions. To arrange a job today, give us a call on 0808 164 0776. Corrosion: As we all know, iron will rust as time passes. The moisture in the air is enough to cause steady corrosion; now imagine iron that continually has water running through it. Given enough time, the rust will spread throughout the entire pipe and can create holes or cracks in the pipeline. The best-case scenario is that a crack will appear which will reveal damp to you. In this case, we can come in and fix the situation before things get any worse. In the worst case, the pipe will collapse entirely, leading to widespread flooding and, in turn, expensive repairs. 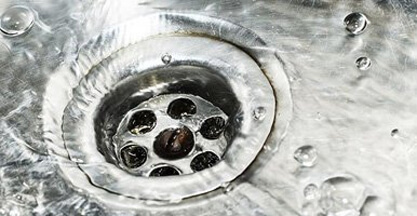 Calcification: In areas with hard water, scaling can cause severe problems within your drainage system. Hard water, such as in regions throughout the South and East of England, is full of minerals. These minerals will build up over time, clinging to the side of the pipe. Given enough time, these scale deposits will turn into a blockage which the water can’t flow past. At this stage, you will either have to get the scale removed professionally, or more ideally, have the system updated and modernised. Old houses have a lot of character and can be an incredibly worthwhile and rewarding investment. However, they can also come with a lot of problems, which turn your investment into an expensive, ongoing, and unwelcome project. One step you can take when buying an old house from the 40s, 30s, or even earlier, is to have a CCTV Drain Survey carried out. This process will highlight the exact state of affairs within the pipes and will allow our technicians to give you an accurate quote on how much it will cost to fix. You might think that a drain survey is an unnecessary expense, but a drainage system in disrepair can turn your dream home into a nightmare. 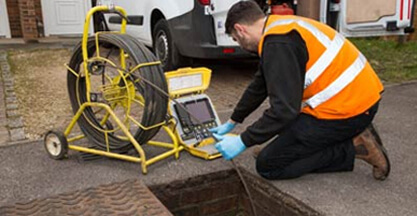 To arrange a CCTV Drain Survey, give us a call today on 0808 164 0776. If you think your drainage system might be in need of replacement, it is best to have it updated sooner rather than later. While the expense might not be welcome, it will be significantly cheaper than having to repair after the water damage from a widespread flood. Experienced Staff: We have been in this business for a long time, and our technicians have carried out all jobs from small domestic chores to extensive commercial projects. In order to make sure that even our newest staff carry out everything to our standard of excellence, we also provide extensive on-the-job training. Top-of-the-Range Equipment: Having the right personnel is only half the battle; they need to have the right tools. 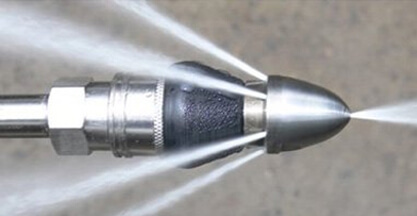 We kit out all of our vans with the most cutting-edge drainage technology, such as CCTV survey cameras as well as high-pressure water jetting equipment. Not only do our technicians have the knowledge to come up with a plan, but they also have the means to make that happen. 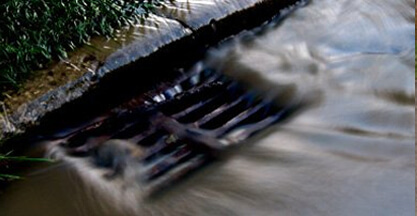 Cost-Effective and Up-Front Quotes: At Clark Drainage, we are committed to providing fair and reasonable costing. We know that this is key to maintaining our solid reputation. Not only is it policy that we come up with the most cost-effective plan for repair, but we will also give you a fully structured quote prior to starting work. 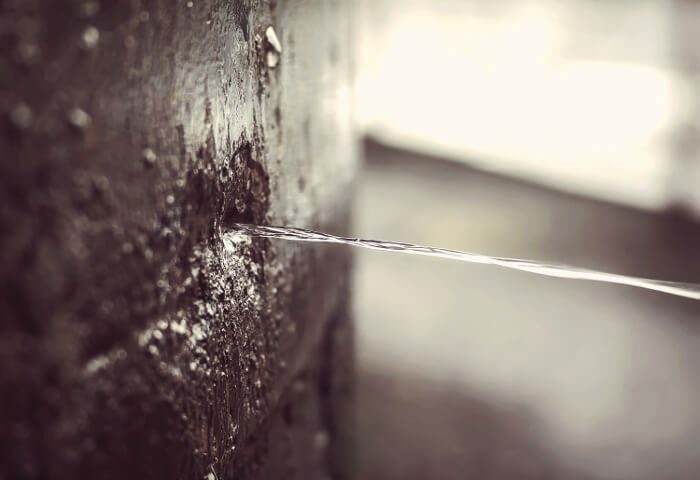 If you have found yourself in possession of an old, dilapidated cast iron drainage system, or if you have just become aware that yours is in need for some TLC, Clark Drainage is always on-hand to provide you with quick and competitively priced solutions. We also offer a 24/7, 365 days a year emergency repair service. Clogs don’t just turn up during regular working hours, so neither do we. Lastly, to significantly reduce your risk of suffering from a critical failure in the first place, consider booking some regular maintenance. By flushing your system with high-pressure water jets, we can address blockages before they become the cause of severe water damage. To arrange a job, or to make an enquiry, give us a call today on 0808 164 0776. Alternatively, fill in our contact form, and one of our personnel will be in touch as soon as we possibly can.